The lake scene would look great on your front porch or in your kitchen with this Fun Lakeside MatMates Welcome Floor Mat. This mat fits as an insert in our indoor tray which provides a cushion comfort surface for long standing periods. You can also pair your mat with this outdoor tray for a classy look on your front porch. The beautiful color is created using a dye sublimation process that gives the finish fade and stain resistance. Display your mat in the kitchen, by the fireplace, at the front door, or even at the lakeside cabin. Will endure the dangers of most weather conditions. 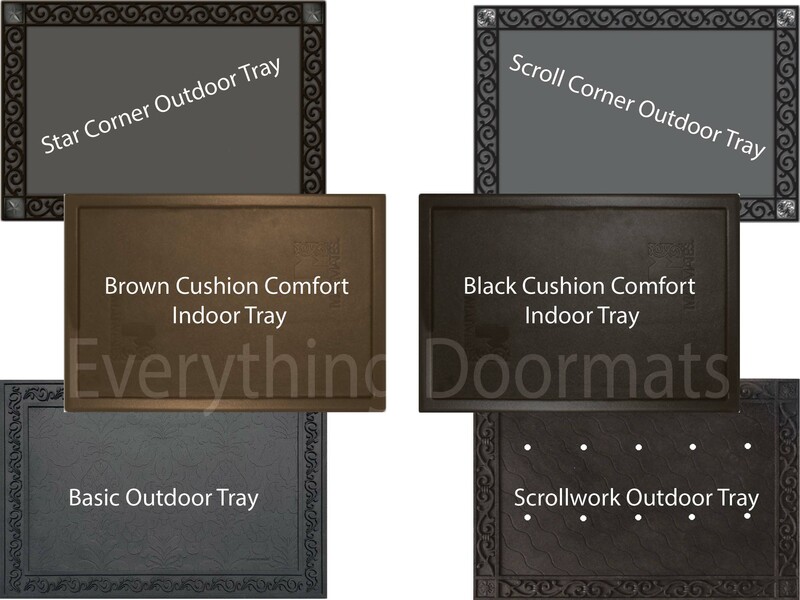 Note: The Lakeside Floor Mat is pictured in our Scroll Corner Outdoor Tray. The outdoor trays and cushion comfort trays are sold separately.